A curdled cheese made from skimmed milk and the addition of a special starter to develop the texture and flavor by the natural souring of the milk by lactid acid bacteria. The resulting curd is cut into small pieces and slowly heated. The whey is drained off and the curd is wash and cooled. This curd is known as Cottage Cheese. Cottage Cheese provides a good source of protein, riboflavin, calcium and phosphorus. It has a short shelf-life and should therefore be kept in the refrigerator. Cottage cheese has a relatively soft, yet firm feel to it. The texture is also typically moist. Choosing: Look for cottage cheese that appears to be very fresh as well as moist. Buying: Cottage Cheese is available in almost any grocery store. Procuring: Cottage cheese is created by curdling and then draining cow's milk. 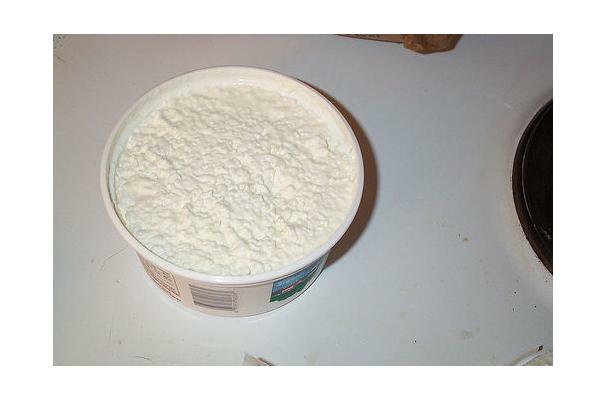 Keep cottage cheese in the coldest section of the refrigerator but not longer than 10 days after the sell date.